The Tony Brown Cup is awarded to a person who has helped others over the last year. The below link will take you to a list of garages that club members have found helpful in relation to fitting tyres to Austin 7 wheels. 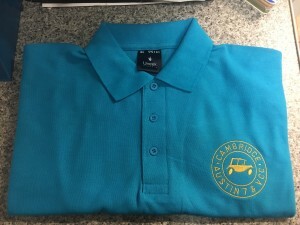 Club Polo shirts are now available for the cost of £12 each. We will not be holding any stock but will place one order each year for those who want one. If someone desperately wants one between annual orders this is possible but the price may be slightly higher. There is quite a tight turn around on these as we are hoping to get the shirts in time to give out at Club Night in May to set you up for the 2018 Austin 7 Season! From Wednesday 4th April our monthly club nights will be moving to The White Horse Inn, 118, High Street, Barton, CB23 7BG. Please come along and let the committee know what you think of the new venue. 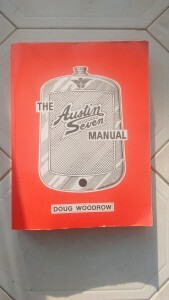 The club has a copy of The Austin Seven Manual (Doug Woodrow) which is available for club members to borrow for periods of one month. 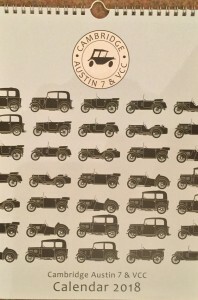 This workshop manual contains descriptions and diagrams of all the major mechanical parts of the Austin Seven and will be a fantastic aid if you are about to embark on some mechanical work. Let the Secretary Paul Lawrence know if you would like to borrow it and you can either collect it at a club night or have it posted to you at your expense. 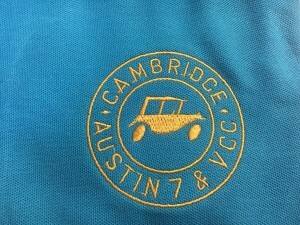 Members were asked recently for their thoughts on car covers for their Austin Sevens. 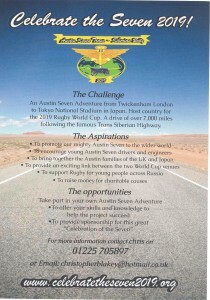 Here is what they said……..
An exciting Trans – Siberian challenge is being planned for 2019 to celebrate the Austin Seven.